Toyota may not have introduced any all-new models lines at the 2018 LA Auto Show, though it did reveal four new model variants including , the , and the . Clearly, Toyota had no shortage of new models to talk about, so we sat down with Jack Hollis, Group Vice President, and General Manager of the Toyota Division at Toyota Motor North America to talk about plans for upcoming models and the company's direction moving forward. As an enthusiast-oriented outlet, many of our readers prefer old-fashioned body-on-frame SUVs instead of car-based crossovers. 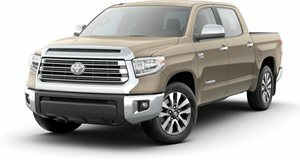 Toyota is currently very happy to cater to this demographic with models like the 4Runner, Land Cruiser Tacoma, and Tundra. We wanted to know why Toyota continues to sell these types of models despite a clear consumer shift towards smaller car-based crossovers. "We have seen there is an authenticity to our brand and to where we've come from. Those who really do want to take their life off-roading have seen us stay true to them. That's why you see 4Runners today - we're growing sales every year it gets older," Hollis said. "We stayed tried and true on the body-on-frame and our dealers love it. They say 'keep this, stay with this, give us a new 4Runner, and keep growing it.'" This enthusiastic love of the body-on-frame SUVs and trucks seems to run in contrast to the rest of the market. We wondered how Toyota expects this segment to change as consumers start to crave more technology and better fuel economy. 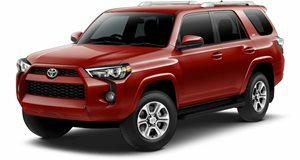 As it turns out, body-on-frame customers are very different than typical consumers, so perhaps turbochargers and hybrid drivetrains may never see a place on a vehicle such as the 4Runner. "We asked a lot of our consumers and a lot of our owners" what they want. "The 4Runner buyer is an important buyer to us," said Hollis. We even asked if future model generation should go with smaller engines or hybrid drivetrains. "Here's what I would say about a turbo four, a six, a hybrid, a fuel cell, or whatever - What we're finding is consumers are less concerned about what it is. They are concerned about the output that provides the feeling they want in their vehicle. If I called it an 'ABC engine,' whatever that is, if I didn't tell them what was in it, if they got in and loved the feel of it they don't care. Give us the best output and keep the price down." During these auto show interviews, it can sometimes be difficult to get automakers to admit future product plans but we managed to get a little tidbit out of Toyota. When we asked if any of the body-on-frame models have already been greenlit for a next generation, Hollis simply answered, "yes." 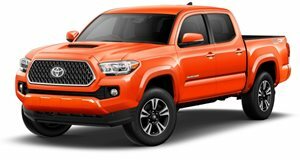 So, it may be too early to tell which models will live to see another generation, it seems likely that the 4Runner, Land Cruiser Tacoma, and Tundra will all play an important role in Toyota's lineup moving forward. Unfortunately, one vehicle we do not expect to see soon is a retro-styled successor to the FJ Cruiser. Toyota has teased , as well as the which was on display just a few feet away from where we conducted our interview. Despite seeing so many retro-styled concepts from Toyota, it may be a while before we actually see one on the road. "Do I see it in our future? Yes. Do I see it in our near future? No." explained Hollis. "FT-4X, FT-AC, and TJ Cruiser, those are three different takes on an SUV. It would be silly of us to create these concepts, listen to consumers, and then not deliver something. So the answer is, not in the short term." 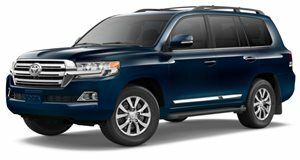 So if you've been holding on to your FJ Cruiser, waiting for a new version from Toyota, it's coming, just not any time soon.